Shimadzu, one of the world leaders in analytical instrumentation, has released a new member of the UFMS (Ultra-Fast Mass Spectrometry) family in Europe: the LCMS-8045 triple quadrupole mass spectrometer. For laboratories performing demanding routine quantitative analyses e.g. in food safety and environmental testing, the new LCMS-8045 offers an optimum balance of sensitivity, robustness and cost-effectiveness. The LCMS-8045 features a modified ion sampling device and collision cell technology, resulting in greater efficiency and high quantitative accuracy and reliability. In addition, the ion source features a cableless, tubeless housing and the desolvation capillary can be replaced without breaking vacuum. This leads to increased durability, easier maintenance and a lower total cost of ownership. 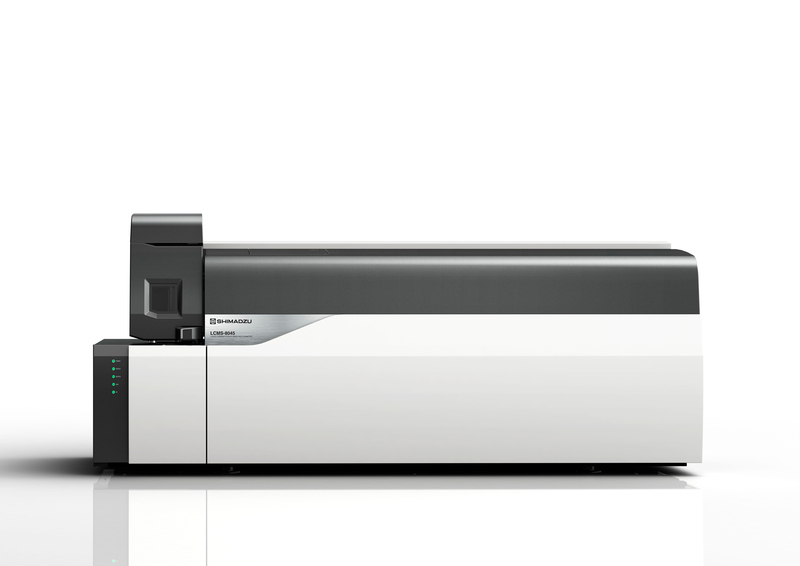 As part of the Shimadzu UFMS series, the LCMS-8045 features a range of ultra-fast technologies. These include a scan speed of 30,000 u/sec without loss of mass accuracy, and a polarity switching time of 5 msec, which ensures highly reproducible data even for the most demanding matrices. The LCMS-8045 operates using Shimadzu’s LabSolutions software, an intuitive package that enables simplified instrument control, diverse data handling and integration with regulatory compliance requirements. Numerous options including application-specific method packages and open-access quantitative analysis software are available to address specific customer requirements. The LCMS-8045 can be upgraded, like the LCMS-8050 to the high-sensitivity LCMS-8060 in case of new challenges or applications requiring higher sensitivity. Shimadzu has released a new member of the UFMS (Ultra-Fast Mass Spectrometry) family in Europe. The new LCMS-8045 offers an optimum balance of sensitivity, robustness, and cost-effectiveness to laboratories performing demanding routine quantitative analyses in areas such as food safety and environmental testing. Ultra-fast technologies improve data acquisition and ensure highly reproducible data even for the most complex matrices. Shimadzu’s LabSolutions software provides options to address specific customer requirements. In case of new challenges or applications requiring higher sensitivity, the LCMS-8045 can be upgraded to the high-sensitivity LCMS-8060. Figure 1: The cost-effective LCMS-8045 Liquid Chromatograph Mass Spectrometer offers an optimum balance of sensitivity, robustness, and cost-effectiveness for demanding routine quantitative analyses, e.g. in food safety and environmental testing.